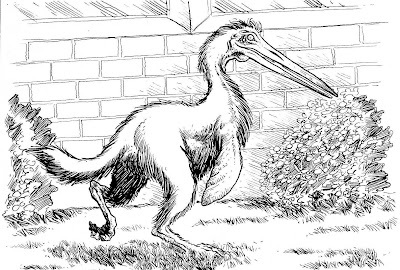 The following article is taken from famed Cryptozoologist Karl Shuker’s blog, ShukerNature. No ownership is claimed over this article, it is being posted purely for educational purposes. Please show Mr. Shuker support, as he is a great and brilliant man in the field of Cryptozoology! In modern times, Britain – reputedly the world’s most haunted country – has seen more than even its fair share of monstrous creatures reported, beasts assuredly more supernatural than natural. So here, in no particular order, is my own personal Top Ten paranormal terrors of the zooform kind (i.e. seemingly preternatural entities superficially resembling corporeal creatures). Encounter them at your peril! One late evening in 1994, the husband of correspondent Nicky Knott was driving home through King’s Lynn, Norfolk, down a lonely rural back road when he saw a large creature in a field to his right. As it moved closer, it seemed to be a horse, with equine body and four legs, but its observer was horrified to see that it had the face of a man! Terrified, Knott slammed his foot on the accelerator and sped away, and even though he was sure that the ‘thing’ was pursuing him he never once looked back till he reached home. Amazingly, this is not a unique case. Back in spring 1966, a creature fitting this same bizarre, man-faced, horse-bodied description was encountered in the road ahead as Margaret Johnson and her boyfriend John Farrell were driving past the estate of Lord Dillon in County Louth, Ireland, blocking their way for a couple of minutes and emanating palpable malevolence before abruptly vanishing. Could it have been a pooka – Ireland’s evil supernatural goblin horse? During the mid-1950s, writer Joan Forman had spent time teaching at the school in the Kentish village of Goodhurst. One early morning during the summer holidays, when few others were there, she had awoken from sleep in her room, alone within the school building’s oldest section, and was shocked to see a grotesque creature crouching on the floor to the left of her bed, glowing slightly in the darkness and gazing at her with what she considered to be an unblinking stare of outright evil and obscenity. It was about the size of a large cat or corgi dog, but its most striking feature were its huge eyes, which she likened to those of a nocturnal lemur. She lay there, rendered immobile by its seemingly mocking, revolting stare for some time, before, with the onset of dawn, it slowly faded away, and the intense coldness that until then had filled the room vanished with it. Years later, she learned that her successor at the school also witnessed this entity, but in a different bedroom. One of the weirdest creatures ever encountered in Britain was nicknamed Wolfie by the Lawson children who first saw it, but it was like no wolf – or anything else, for that matter – ever reported. The Lawson family lived in Abbey House, Cambridge, from 1904 to 1910, during which time Wolfie was spied on many occasions by the children, and even once at close range by their father as it sped down a corridor. According to their descriptions, Wolfie superficially resembled a very large, brown-furred, short-eared hare but with some notable additional attributes – always running on its hindlegs, sporting a pair of flipper-like front paws, and equipped with a long bird-like beak. Wolfie was mostly seen on the ground floor and at twilight, or in the drawing room when lit by lamplight, but even when not observed its presence was readily evinced by the distinctive pattering sound of its footsteps. Wolfie was also encountered by Charmian, the daughter of the Sharp family, who moved into Abbey House in 1920, and in 1947 a mysterious “tiny doggie” was reported in the kitchen by the young son of Celia Schofield, a friend of the then tenant. Although Wolfie did not seem to be malign in any way, its zoologically impossible form, if described accurately, indicates that this inexplicable entity must surely have been paranormal rather than corporeal in nature. The horse reared up in terror, and as it did so its assailant vanished. One evening in October 1943 during a World War II bombing session inflicted upon London by German aircraft, air-raid volunteer Howard Leland took shelter inside a derelict house, but as he sat at the foot of its staircase he sensed a presence nearby. Shining his torch up the stairs, he was petrified to spy a huge tabby-striped cat sitting crouched at the very top, gazing down at him with demonic eyes – a cat whose skull sprouted a pair of sharp pointed horns! Rooted to the spot with fear, Leland could only watch as this monstrous entity leaped down into the room below, but it vanished before it landed, so that only its spine-chilling yowl echoed in the shadows. Leland consulted renowned clairvoyant John Pendragon, who placed his finger on the house’s precise location on a map, only for his mind to be filled with swirling images of hate-filled cats and an image of a man about to hang himself. Leland made enquiries about this house, learning that others had seen the horned cat, and, significantly, that it had once been inhabited by a practitioner of black magic, who had sacrificed several cats during one foul ritual, but had become deranged, hanging himself from the top of the staircase. 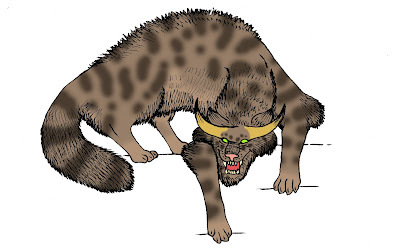 Pendragon concluded that the giant horned cat was an elemental, conjured into being by the restless, fury-fuelled ghosts of the slain cats, and which may persist there indefinitely. For a full ShukerNature account of this scary (as opposed to scaredy!) cat, click here. There are many British folktales telling of encounters with an eerie amorphous entity, animate and sinister, variously nicknamed ‘Boneless’ or simply ‘It’. One moonlit September night during the 1950s, however, railwayman John Davies was riding his motorbike back home to his cottage in Derbyshire’s Longdendale Valley when he saw what appears to have been a bona fide Boneless crossing the road not far ahead. Moments earlier, he had felt an uncanny, seemingly reasonless compulsion to brake, and as he did so he spied what looked like a huge black slug sliding across the road and up the moor, making a scraping noise as its massive but near-shapeless form moved along. Up closer, it looked a little like a massive whale, and even possessed an eye-like structure, and Davies later learnt that it had been seen by others. One such observer was a friend of Davies, who had seen it sliding across the valley below Ogden Clough, where it was also observed on a separate occasion by another of his friends. Both of them were convinced that whatever it was, it was definitely evil, and both had fled in panic after spying it. Phantasmal Black Dogs are widely reported in Britain; less familiar, conversely, but by no means unknown, are comparable reports of preternatural White Dogs, of which the following is certainly among the most remarkable on file. One evening during the early 1950s, a soldier was returning to his army camp, based inside London’s Richmond Park, when he was startled to see several deer running past him in a panic-stricken state. He was even more startled, however, when he saw that they were being pursued by an enormous pure-white dog with huge teeth – but which, instead of bounding across the ground like any typical earthbound dog, was racing through the air, about half a metre above the ground! For another ShukerNature post re White Dogs (aka Fairy Hounds in Celtic mythology), click here. A HARPY OF THE HIGHLANDS? According to Highland legend, on the eve of the historic battle of Culloden in 1746, a hideous winged apparition called the skree appeared in the sky, emitting spine-chilling shrieks and hovering above a detachment of soldiers. It was said to resemble a monstrous bird but with a human head, black leathery wings, and burning red eyes – in other words, a Caledonian counterpart of the harpies from Greek mythology! Moreover, one of its claimed eyewitnesses was none other than Lord General Murray. Although this story is largely dismissed by historians, at least two additional skree appearances have been documented. One was on 22 May 1915, when this veritable bird of ill-omen appeared over Larbert railway station just as a major party of Royal Scots men and officers were about to board their train. So shocked were they by this grotesque entity that the men had to be forced to board at gunpoint by their officers; later that day, the train crashed, killing or injuring many of its passengers. Most recently, during summer 1993, a skree-like creature was reportedly spied on a mist-shrouded outcrop of rock by two lost hill walkers in Glencoe. 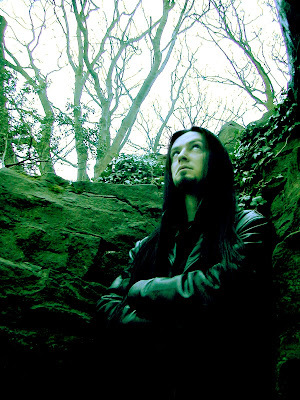 Highly-acclaimed graphics-fantasy artist Sam Shearon (click here to visit his spectacular artwork’s Mister-Sam Facebook page) has long been interested in cryptozoology, but little expected that in 2005 he would have the chance to investigate a truly bizarre beast in his very own hometown of Lytham St Anne’s, Lancashire. As I learnt from Sam when he kindly shared his files on this entity with me, it all began during late April 2005, in the town’s wooded beauty spot of Green Drive, when a mysterious snarling creature initially likened to a large collie with very big pricked ears, a sizeable mouth, light-coloured fur, and a strange lolloping gait was spied there. Other reports soon emerged, but descriptions of the beast became ever stranger, with one eyewitness comparing it with a surreal giant hare, and another describing it as “like a monster out of Doctor Who”! When word of this extraordinary creature reached Sam, he lost no time in interviewing a number of eyewitnesses, and then prepared a highly-detailed illustration of it, based upon their accounts, which appeared in media reports worldwide and is also reproduced here in this ShukerNature post with Sam’s kind permission. He also established a dedicated website for documenting sightings. Suggestions as to what the Green Drive Beast might be as put forward by the general public ranged from a lost greyhound or an escapee wallaby to a mystery big cat, or even a far-from-home chupacabra! A number of wildlife experts were also consulted as to the creature’s likely identity, but were baffled, eventually suggesting that it may be a muntjac. 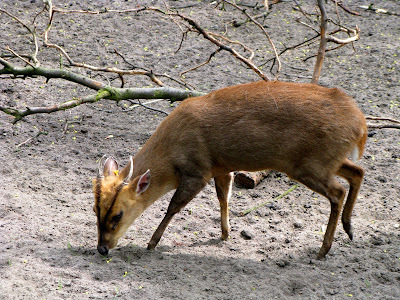 Alternatively known as barking deer, muntjac are not native to Britain. However, escapee specimens from captivity of Reeves’s muntjac Muntiacus reevesi (native to China) have established thriving populations in several regions of the country, and are notable for their large, fang-like canine teeth – an incongruous feature for deer. In general appearance, however, these small, elusive bambi-like animals display scant similarity to Green Drive’s mystery beast. 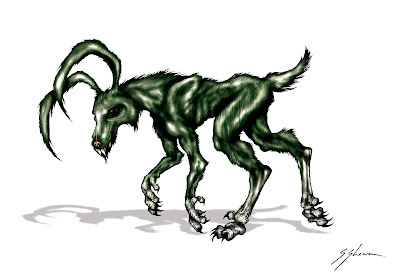 Eventually, sightings and interest in the Green Drive enigma faded, but in September 2007 a very old, mange-ridden fox bearing a superficial resemblance to certain descriptions of the beast was captured there, reviving interest, and later being dubbed by the media as the correct explanation. Yet how a very sick, elderly fox found two years after the classic sightings of a much more vibrant, larger creature can be deemed to be one and the same as the latter is as mystifying as the beast itself. In any event, Sam’s stunning picture of the 2005 Green Drive Beast remains as vibrant testimony of its erstwhile existence, regardless of its identity. While visiting the Lake District, Cumbria, in June 1922, theosophist Geoffrey Hodson claimed to have witnessed an astonishing being that he believed to have been a deva or nature spirit. According to his description of what he had seen, it was an enormous bat-like entity, brilliant crimson in colour with a human face and burning piercing eyes that fixed themselves upon him as its wings stretched out over the mountainside, before sinking into the hillside and disappearing. It later reappeared before him, but now in much smaller form, this time standing a ‘mere’ 3-4 m high. 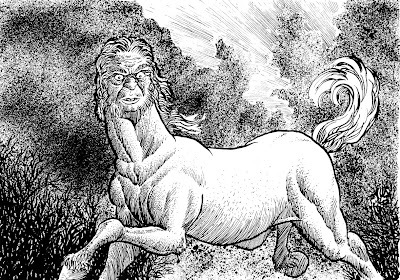 It’s not every day that you encounter a malevolent horse-man, a demonic horned cat, or a murderous vampire caterpillar in modern-day Britain, but as can be seen from the above accounts, it’s not beyond the realms of possibility either! So next time you’re out and about, keep your eyes open – sometimes, the unknown and the inexplicable can be a lot nearer than you think! Great goods from you, man. I’ve take into account your stuff previous to and you are simply extremely wonderful. I really like what you’ve obtained here, really like what you’re saying and the best way through which you are saying it. You make it entertaining and you continue to take care of to keep it smart. I can not wait to read far more from you. That is actually a wonderful site.